What else can I say other than cheers and Sláinte on this magical day that marries together all things Irish and all things drinking. Here are a few little facts that you might not know. These are random facts I found on either Facebook or some other obscure place on the interwebs, so forgive that I don’t quote a source. They’re just fun, silly “facts”. •	St. Patrick was not Irish. 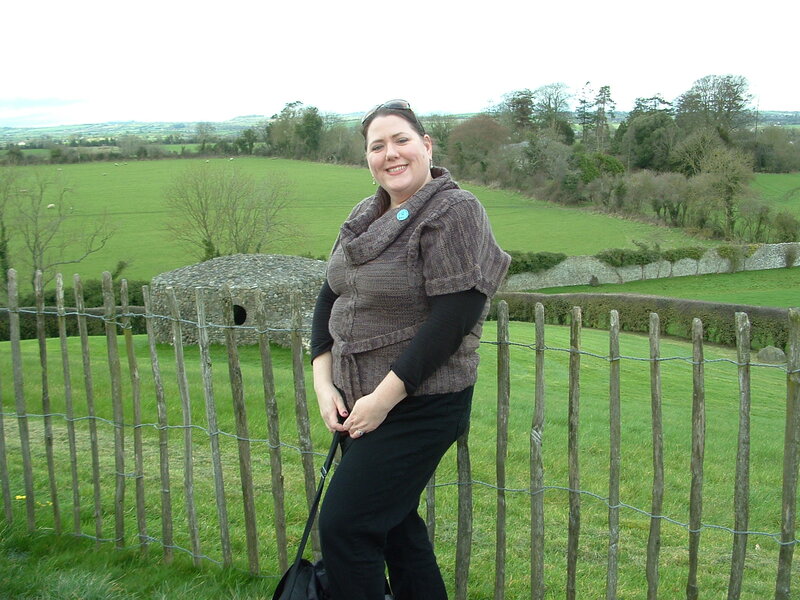 •	There are more Irish-American’s living in the U.S. than there are Irish currently in Ireland. •	St. Patrick died on this day, so we are celebrating the day he was brutally murdered. •	St. Patrick was originally associated with the color blue. •	The odds of finding a four-leaf clover is about 1:10,000. •	The Irish didn’t freely start drinking to celebrate the day until 1970 because it was a day of religious observance, so the pubs were shut down. 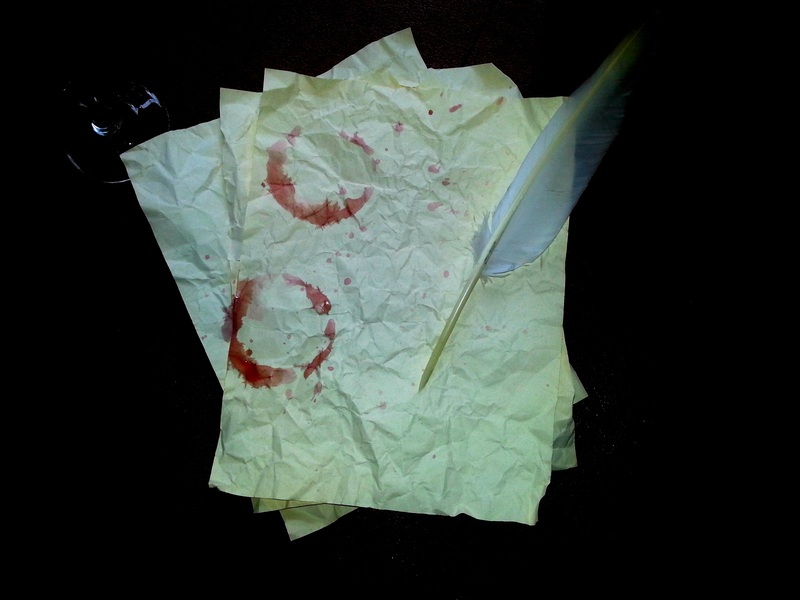 •	Wendy needs to get back to writing. So, until then, Sláinte and Erin Go Bragh to all my fellow Irish-Americans out there and have a great day! Today I sat in a doctor’s office trying to fight off the newest little bug I’ve caught in the never ending cycle of hot and cold weather that has been known as Winter 2014. While I can certainly feel sympathy for my friends in the north who have had never-ending low record temps, snow, blizzards, more snow and more cold, I’m sure it can be as frustrating as experiencing business closing snow flurries on Monday and by Thursday running the air conditioner again because the heat and humidity inside has raised to a uncomfortable 85 degrees. Along east Texas and the gulf coast region we literally experience all 4 seasons in the same week. It’s a clever joke that been meme’ing all over Facebook and your favorite social media site for the last 8 weeks, but there is a lot of truth behind it. And while in Texas, you can joke that if you don’t like the weather, wait a minute, it will change, the harsh reality is that while you’re waiting, the extreme changes in the weather is playing havoc with your immune system. Thus, we set our scene in my doctor’s office this morning and my receiving a 3rd prescription of antibiotics since the beginning of the new year. While waiting for my doctor to come in so I can announce my clever self-diagnosis (once you have one upper respiratory infection, you pretty much know every time you get one), I notice a new poster on the wall sponsored by the latest/greatest anti-allergy medication diagraming the parts of the head: the nose, the ears, and the throat. One thing that caught my attention was the diagram of the Larynx. 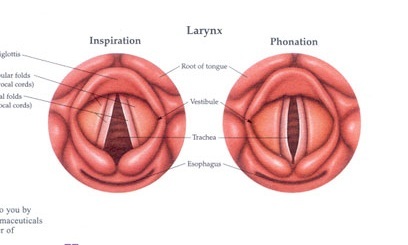 One part of the picture described the larynx as the “Inspiration” and the other as “Phonation”. As I sat there examining the picture regarding the “Inspiration” I couldn’t help but wonder why that word was used in relation to the throat. A google search later, I come to the definition in accordance to this example as inspiration being synonymous with inhalation, or the movement of air into the lungs. To breathe is to inspire. What a truly amazing thought. A few deep thoughts later, I come to thinking about perhaps the best result of moving air into the lungs – and subsequently moving it back out – and that is song. Music. Making music with your mouth. Birds have been doing it since the creation. The first human instrument was the mouth, creating a song with nothing but pursing one’s lips together in order to imitate the songbirds. Next came wind instruments, which inspired the need for more instruments until we created the plethora of percussion, brass, and string instruments and everything in between. What a glorious inspiration music is. And what this world has created simply out of the inspiration of music in itself is to feel nothing short of an overwhelming awe-inspiring shudder that shakes me to the core. Music has always had a strange effect on me. Sometimes a well-placed song at the right moment when my soul really needs a lift, a song can give me the same exhilarating feeling as being in love. It moves me, affects my soul. It inspires me to create and create the best art my soul is capable of. Sometimes it’s nothing but an instrumental, sometimes it’s a complexity of sound and voice that I often find in Queen, The Beatles, Zeppelin or The Who. And it’s just not the rock gods of the 70’s and 80’s who move me. (Although they are the best). Contemporary artists can do the same. Gaga is one, for all her over the top theatrics and showy-showy camp style, she can sing, and she can write great music. And great music, true talent inspires other true talent. As I’m fighting off this latest illness, it’s sometimes hard to even get out of bed and place myself in front of a computer with enough wit and motivation to be creative. When I have to take to my bed, and in those moments before Nyquil takes over, I send my thoughts into the deep recesses of my mind to commune with my muse and work out the already plotted ideas that are waiting in the vault. I’m sure every writer has that vault: a place in your head that houses the most creative ideas, patiently waiting, gestating until the moment they are either born on paper, sound or medium. It’s the ideas that you don’t have to write down because they are so powerful that you’ll never forget them. They live simply because your brain created them and they don’t have to exist on the outside just yet to be real. They breathe. They inhale. They inspire. Despite being sick, I am still using this time to create. I’m back to dictating the chapters I wrote during the late fall. Hopefully I can wrap up the editing in the next month and get on to the next chapters. I have roughly 20+ more to finish the book. Sounds huge, and while it is, I see the end a little more clearly. I just need to keep the inspiration coming. I need to keep my ear open to the music that inspires me and creates that euphoric feeling which wills my hand to pick up the pen and put brain cells on paper. So, what exactly might that be? What is the key of inspiration? As our fairy godmother might say: C Minor, darling. Put it in C Minor.